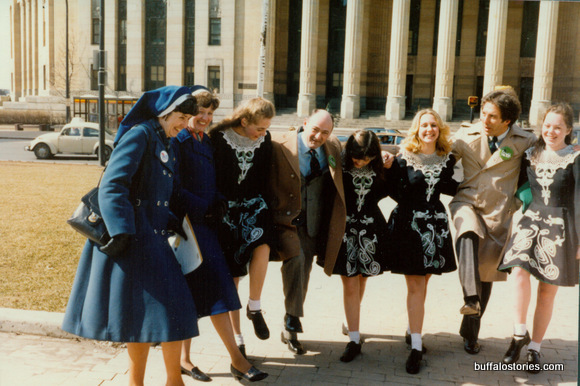 It might have been the birth of the modern tailgate party in Buffalo. 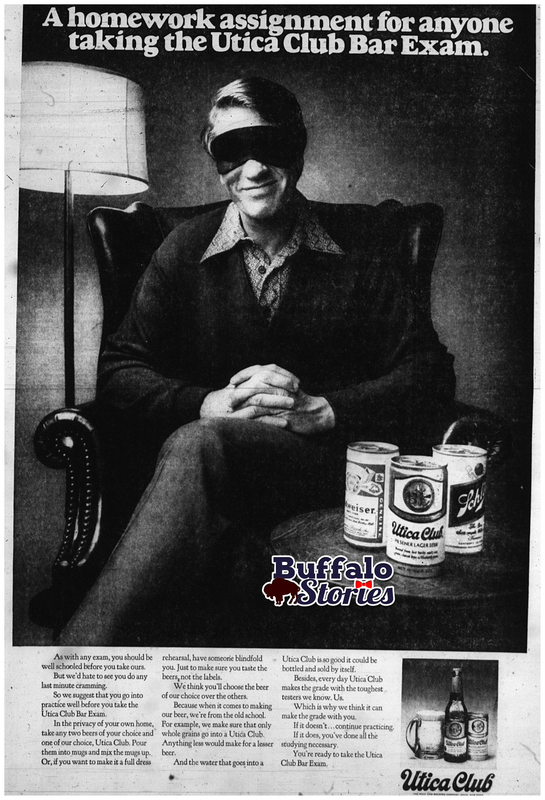 A few days before the grand opening of the brand new Rich Stadium in 1973, the Buffalo Bills put fans on notice that they’d no longer be able to take their own six-packs of beer into the stadium, as they’d been able to do the previous 13 seasons at the Rockpile. 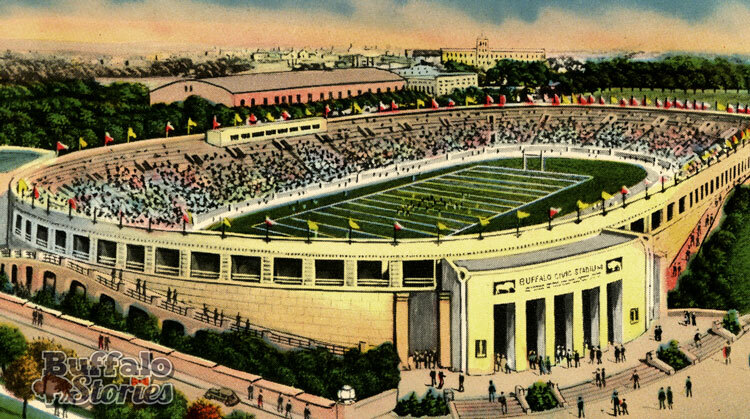 Noting that the changes were being made “for the safety of the fans,” Bills General Manager Robert Lustig told United Press International that the Bills were falling in line with “almost all other major league football stadiums,” and added that War Memorial Stadium was, in part, bring-your-own-beer because there weren’t adequate concession facilities in the 1937-built stadium. 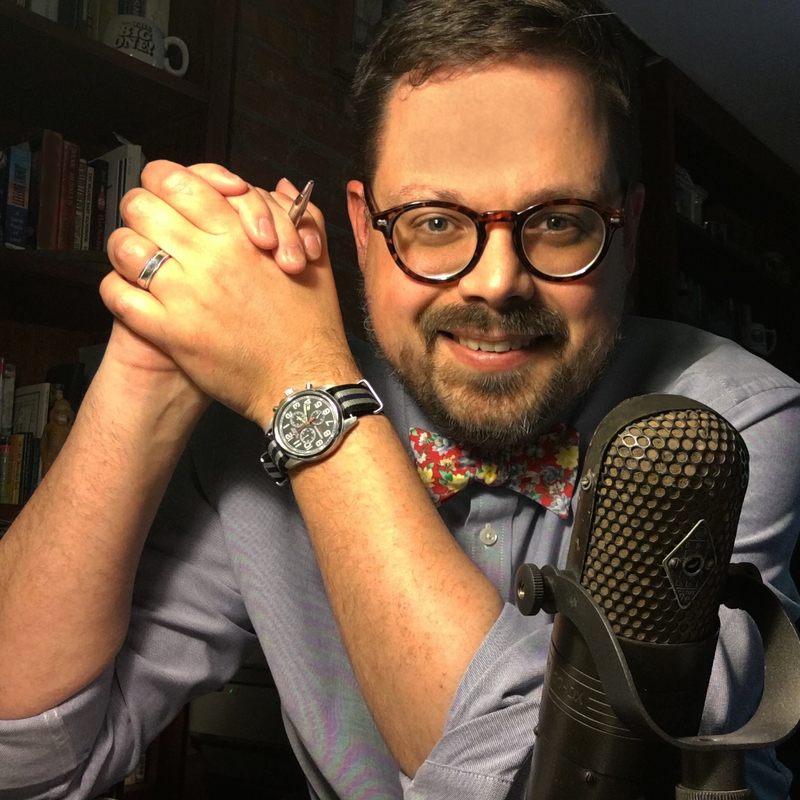 While the more cynical among us might see dollar signs behind the safety warning, the ban was likely a long time coming after a handful of well-publicized incidents at Buffalo’s city-owned entertainment venues. 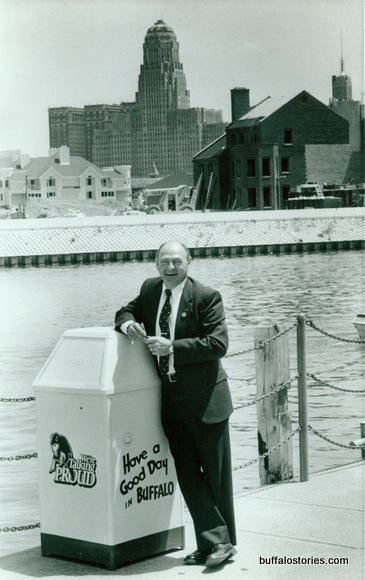 In response to what Larry Felser called “one of the most inept performances ever put on by a Buffalo football team,” several hundred fans at a 1962 game showered the field at the Rockpile with thousands of beer cans. 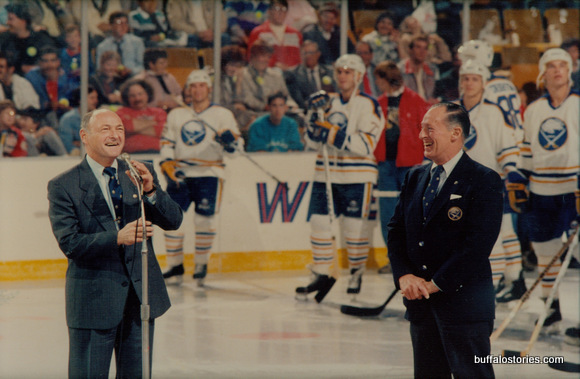 Two years later, Buffalo Police called it a “near riot” when fans at The Aud hurled empty beer and pop bottles at the stage and at police when a music act failed to show. 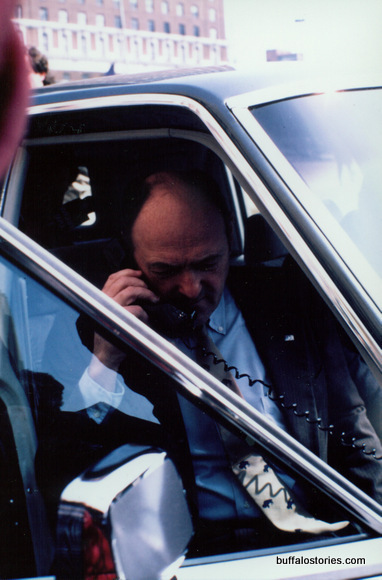 Given those two incidents, Police Commissioner William Schneider requested that city lawmakers pass an ordinance barring people from bringing beer into city-owned Memorial Auditorium and War Memorial Stadium. 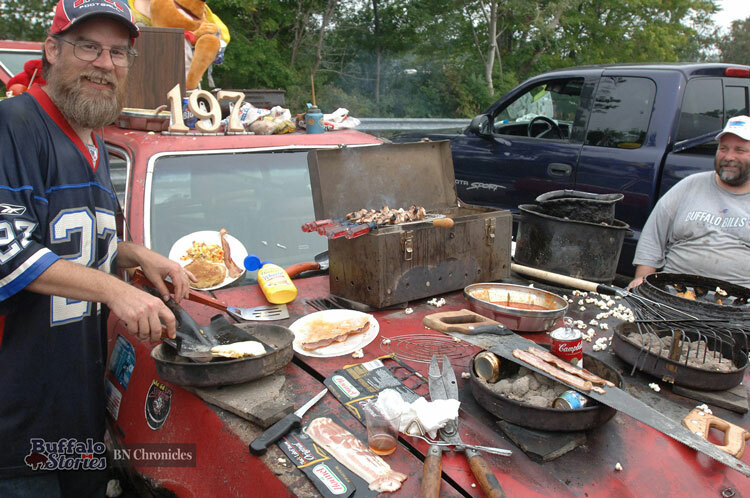 One of Buffalo’s more famous tailgate parties is hosted by Ken Johnson, who cooks on the front hood of his red 1980 Ford Pinto wagon. 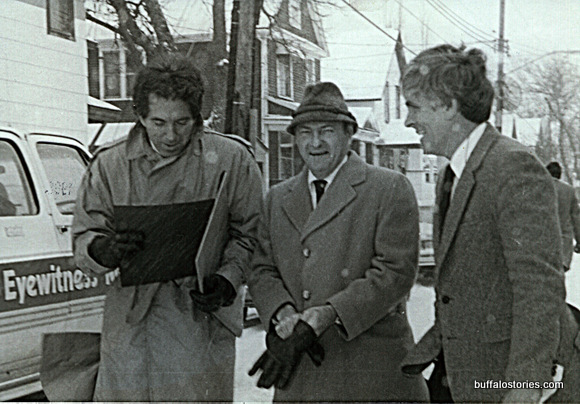 He’s known as Pinto Kenny or Pinto Ron– after a writer got his name wrong in a story. 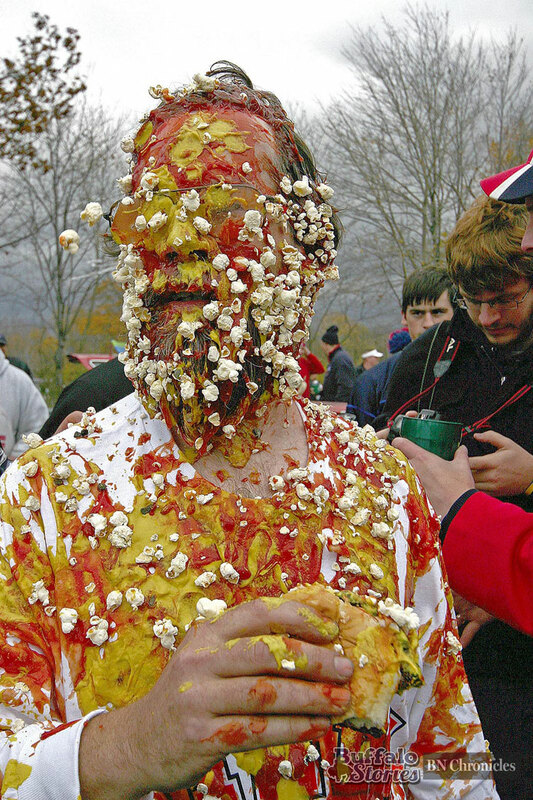 Known for his Pinto, he’s also known for bowling ball liquor shots and the spraying of condiments – which started after a request for some ketchup for his hamburger got out of hand at one tailgate party. 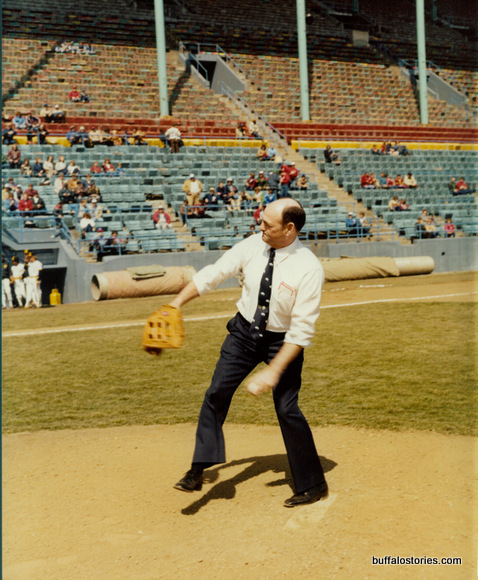 When Rich Stadium was built in 1973, there was a proposed law before the Erie County Legislature looking to ban fans from carrying beer into the stadium. A petition against the law gained nearly 5,000 signatures, but the Bills rule made the law unnecessary. 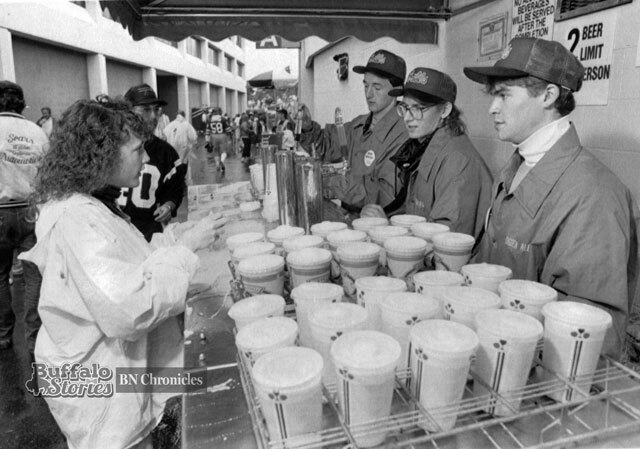 Starting with the Bills move to Orchard Park, if you wanted to have a few of your own beers for the game, you had to have them in the parking lot before you went in the gates. 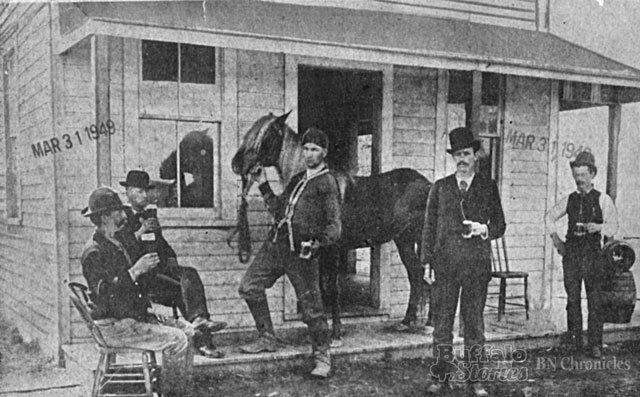 And out in the open farmland country of suburbia, there was plenty of room to have a few beers and spread out. 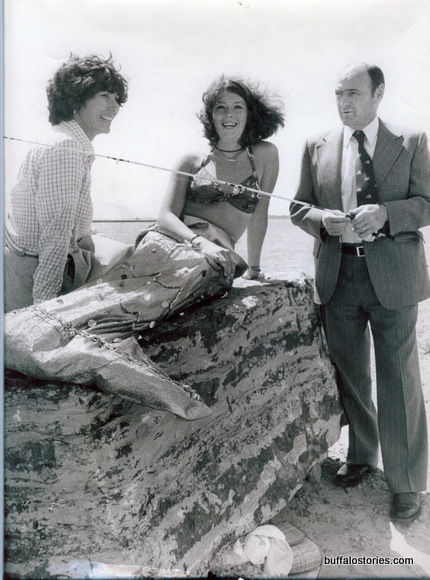 Tailgating at the Rockpile was different. 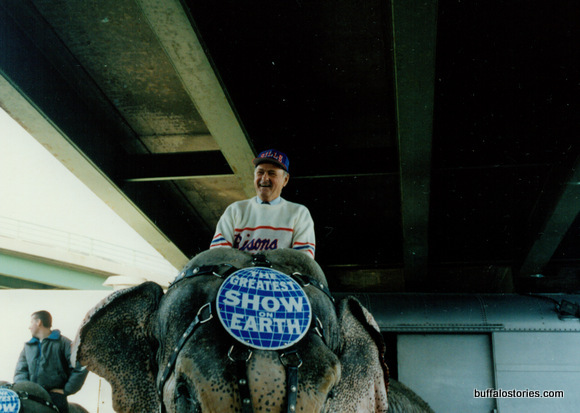 People parked on city streets or on the tiny front lawns of the people who lived around the stadium. 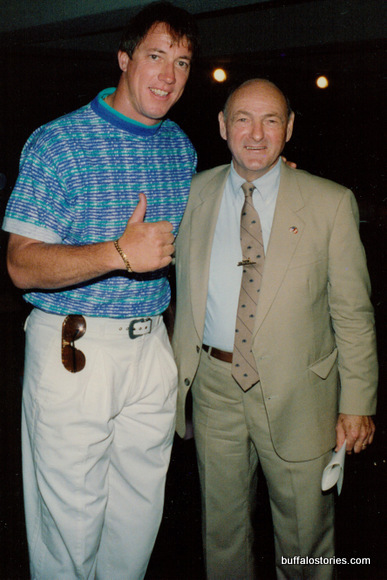 Maybe there were a few kids throwing around a football or older guys chomping on cigars, drinking coffee from a Thermos and reading the newspaper, grabbing their six-packs only as they walked into the stadium — not draining them before. Over the 43 years since the Bills stopped allowing fans to BYOB, Buffalo’s love of football and beer and Buffaloness has evolved into its own unique cultural experience — the tailgate party like none other. 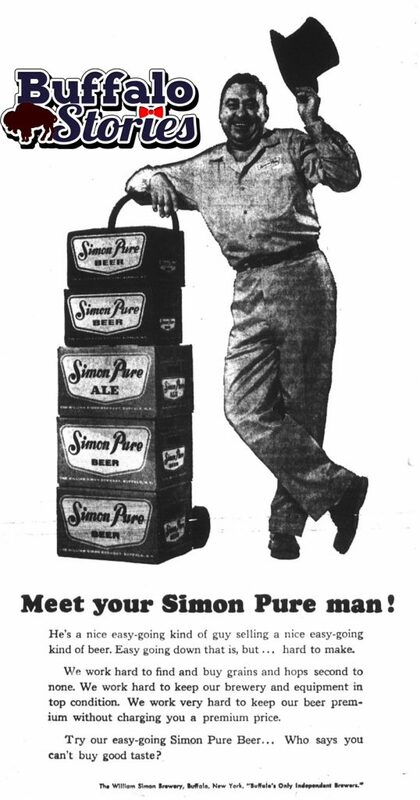 Buffalo in the 60’s: Meet your Simon Pure Man! 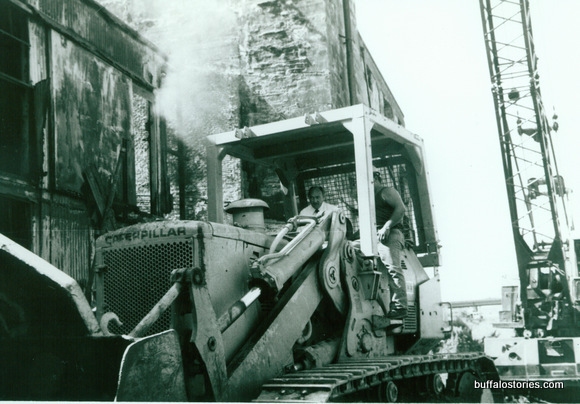 The William Simon Brewery, makers of Simon Pure beer, was the last Buffalo-owned brewery of the 1960s and 1970s. When this ad appeared in The News 50 years ago today, September 8, 1965, Iroquois and Simon Pure were the last beers being produced in Buffalo, but Iroquois was owned by out-of-town interests. 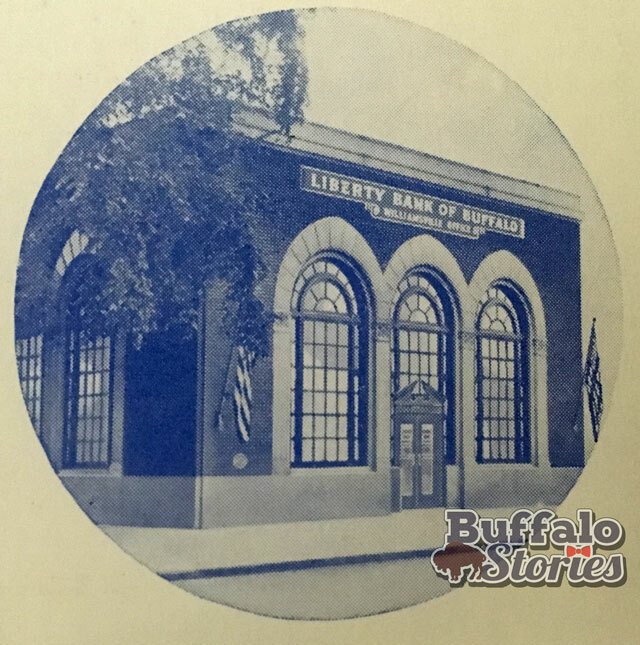 The Simon family owned the brewery from 1896 until it closed as Buffalo’s last beer producer in 1973. 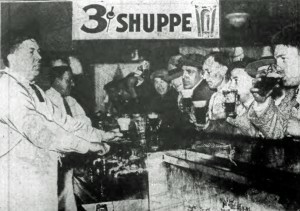 Among the beers advertised to the fathers of Buffalo on the pages of The News 65 years ago this week, in August, 1950, were imports from Newark, Detroit, Toronto (by way of Cleveland) and one beer made right here in Buffalo. 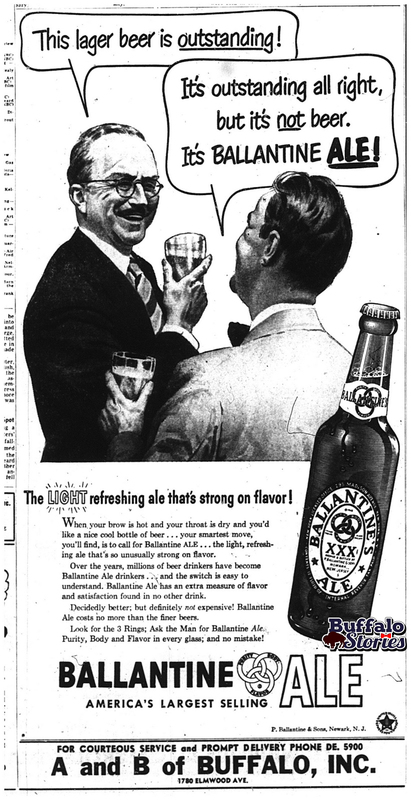 Ballantine was a New York City favorite for generations and was a less expensive brand carried into the ’80s at places like Bells. 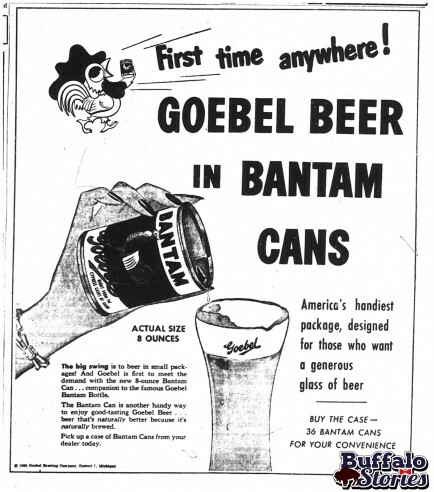 Goebel beer, brewed in Detroit and available in Western New York into the ’80s, was announcing its new “bantam cans,” allowing your dad to drink 8 ounces at a time. 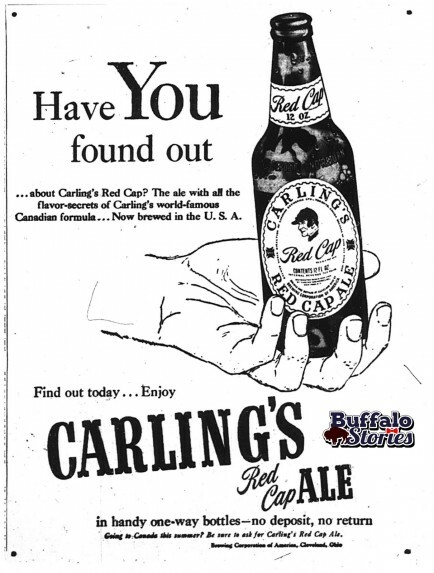 Red Cap Ale and Black Label Beer, both by Carling, were Canadian beers that were being brewed in Cleveland in 1950. 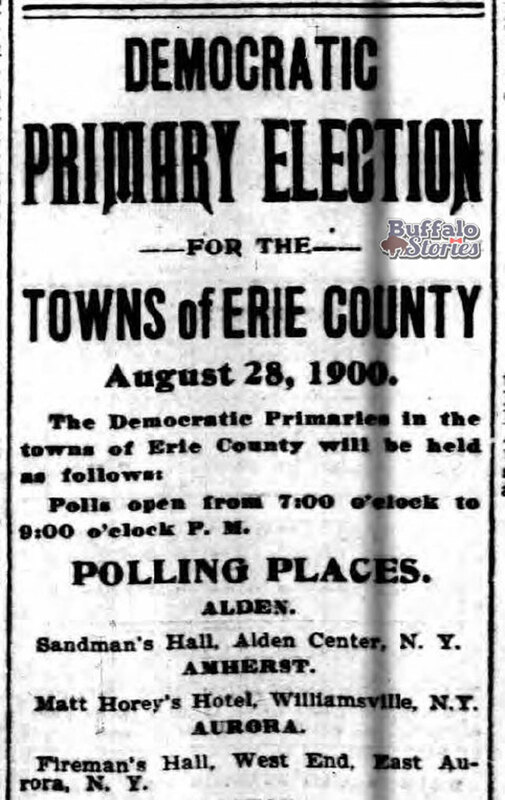 They were among the most popular in Buffalo at the time. 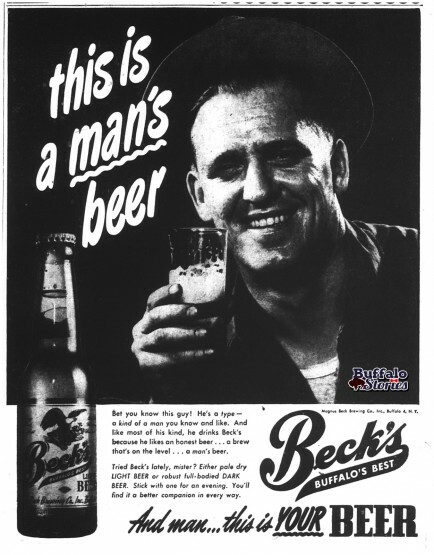 Beck’s beer, not to be confused with the present day German import, was brewed by Magnus Beck Brewing in Buffalo from 1855 to 1956. 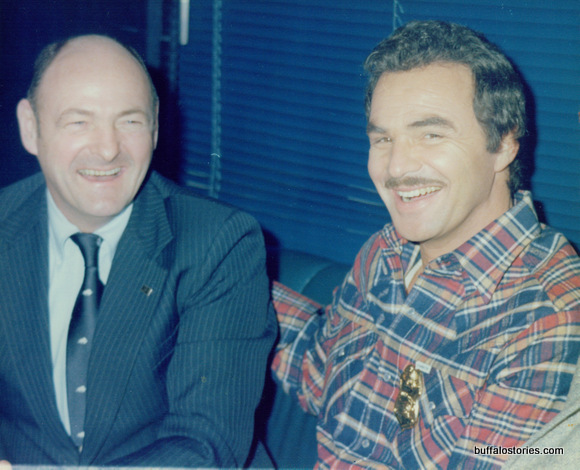 Buffalo in the 70s: Can you pass the Utica Club Bar Exam? 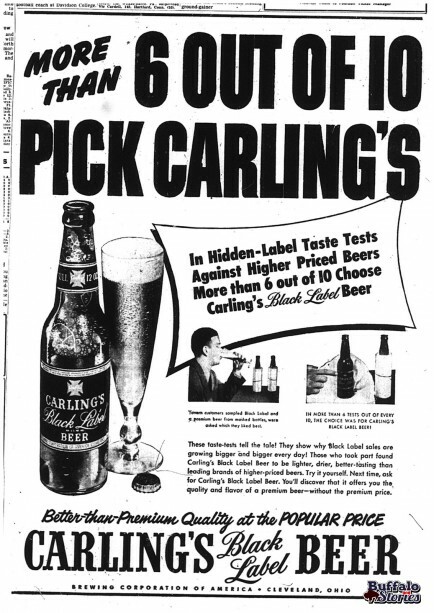 Utica Club promised, in this ad from 40 years ago today, that if you “taste the beers and not the labels,” UC matched up to and surpassed brands such as Budweiser and Schlitz. 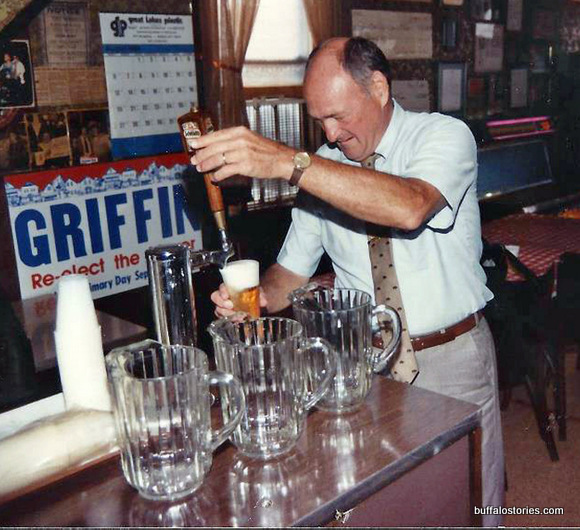 Back to the glory days of 3¢ beer in Buffalo! Everyone loves a cheap beer, right? But 3¢ beer? Now that’s news! As newspapers around the country struggle, maybe they need to take a page from the 1935 Courier-Express, and report the news the people want– Namely, find the city’s cheapest schupers and kimmelwecks, and print that. Print it everyday. After reading this, I’ll never pay a nickel for a beer again!